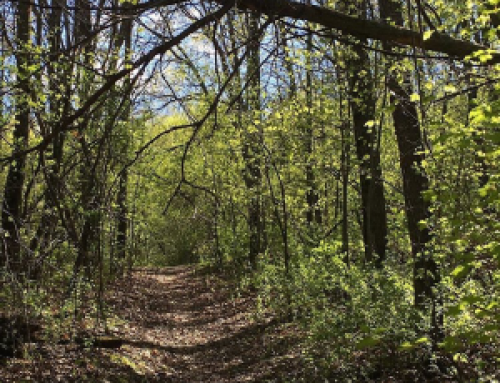 There are so many things to see and do around Inver Grove Heights during these last few winter months. When the outdoor temperatures are too cold to bear, enjoy the day by visiting one of these top ten locations. 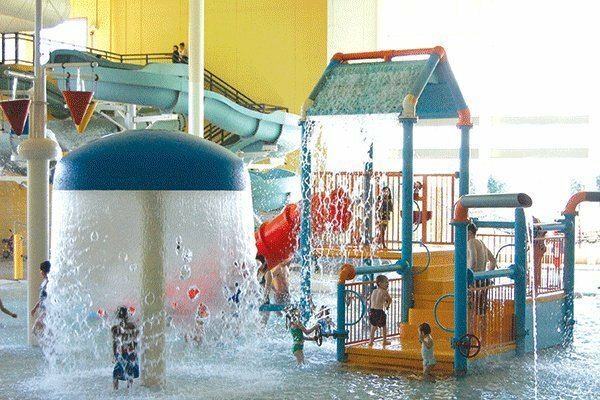 The Grove Indoor Water Park, located in the Veterans Memorial Community Center, is the place to be for fun with family and friends! Fly down one of our two large waterslides, play in the variety of splash features or challenge yourself on the lily pad crossing. There is also a 25-yard lap pool and a separate diving pool with two regular diving boards and one high dive. See pool schedule for open family swim and lap swim hours. There is something fun for everyone! Events are plentiful at the Como Park Zoo and Conservatory. Enjoy stories, animal feeding time, the winter flower show, and enrichment programs. Are you looking for a fun toddler activity? Make sure to attend Lil’ Explorer Thursday. Every Thursday until April, Como Zoo hosts a free program from 10am-12pm for kids ages 1-3. From week to week, the program changes themes and activities. When did you last take the time to play? The Minnesota Children’s Museum is more than fun – it’s a learning adventure. Playing at the museum helps to develop critical thinking skills, communication, creativity, and coordination. It’s education and fun rolled up in one! Until the fall of 2016, the displays in St. Paul include: Earth World; World Works; Habitot®; Very Eric Carle: A Very Hungry, Quiet, Lonely, Clumsy, Busy Exhibit™ (Feb. 6 – May 15, 2016); digiPlaySpace™ (May 28 – mid-August, 2016); Mini Our World; and Disco Party/Superheroes. Even when the knee-deep snow keeps outdoor exhibitions off limits, there’s still so much to see at the Minnesota Zoo. The Tropics Trail, Minnesota Trail, and Discovery Bay are all indoor exhibits that provide hours of entertainment. During lunch, sit by one of the large windows overlooking the private lives of monkeys. These guys don’t mind the cold. Next door to the zoo is the IMAX Theater. You’ve got to check out the animal-themed films on their seven-story screen. The view is spectacular. Nickelodeon Universe is a complete indoor amusement park. Located inside of the Mall of America, you’ll never have to worry about bad weather or walking long distances between rides. When was the last time you had the chance to ride an indoor roller coaster? Now it’s time to get ready for an undersea adventure! With thousands of sea creatures and seemingly endless tunnels, the Sea Life Aquarium is considered the largest underground aquarium in the world. Take advantage of the behind-the-scenes tour that brings you above the tunnel system for a glimpse of off-exhibit animals. The Minnesota History Center is a place where learning and laughter go hand-in-hand! This interactive museum not only has permanent and changing exhibits, it’s also host to concerts, lectures, family days (including kids crafts and activities), and other special events throughout the year. No matter how many times you visit, there’s always something new to learn. We love the Science Museum! With a focus on the areas of technology, natural history, physical science, and mathematics, this museum has something for everyone. With topics that include dinosaurs, weather, and electricity, both children and adults are kept in awe of their surroundings. Overnight camp-ins and films at the omnitheater are just icing on the cake. This 430-seat renovated theater is home to over 200 performances each year by 8-to 18-year-olds. The Stepping Stone Theatre is known for performing ethnically diverse stories to young audiences. This is the perfect introduction to a lifelong appreciation for the arts. Need a little grown-up time? There are many events geared to the adults. Fill in your calendar with a variety of performances at the Ordway Center for the Performing Arts and Fitzgerald Theater. From band and orchestra music to chorus and dance performances, the opportunities of the arts have never been so rich. Last, but not least, it’s time to find those one-of-a-kind items and bargains. With no sales tax on clothing and shoes – just think of all the money you’ll be saving! The Mall of America, alone, is home to over hundreds of retail stores. Combine this with the Twin Cities Premium Outlets in Eagan and quaint shops along Grand Avenue in St. Paul, and you have quite an extensive mix of shopping choices.